For those who love fashion and doodling designs or wish they can actually create a design: these courses are perfect for you! They will teach you the basic skills you need to start designing and making your own creations. No prior skills or knowledge required, we will hold your hand through the whole process. And soon you will be able to wear your own creations! 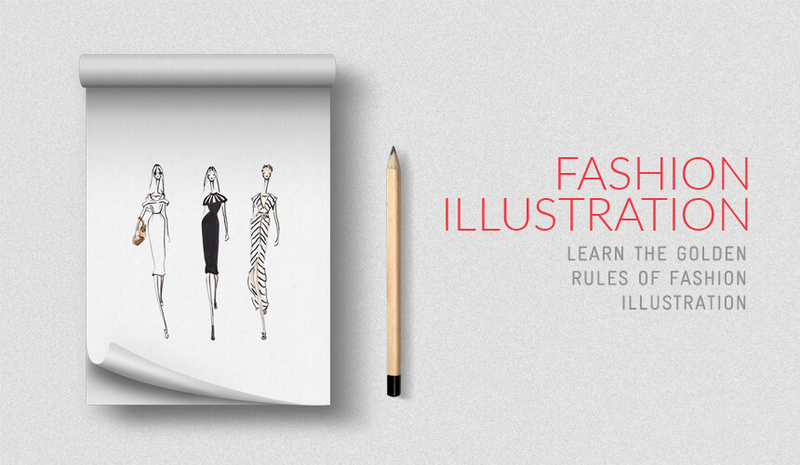 Learn drawing techniques to be able to create basic fashion design, such as fashion silhouettes, coloring and fabric and fashion illustration. Choose between the women, men and kids course. Join our Figurine & Illustration class now. Increase your drawing techniques by doing technical drawings, sheets, and silhouettes of common garments like shirts, skirts, pants, and dresses. Make a mood board and learn how to develop a mini collection. Prerequisite skill level: Figurine and Illustration. 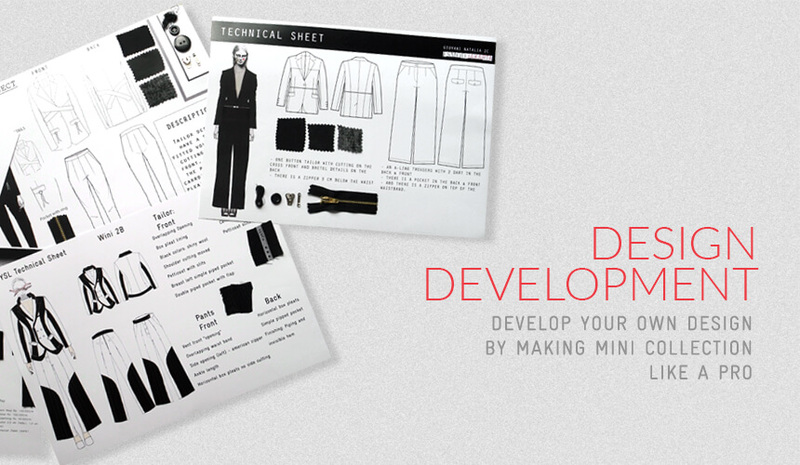 Join our Design Development class now. Learn to operate an industrial or portable sewing machine. 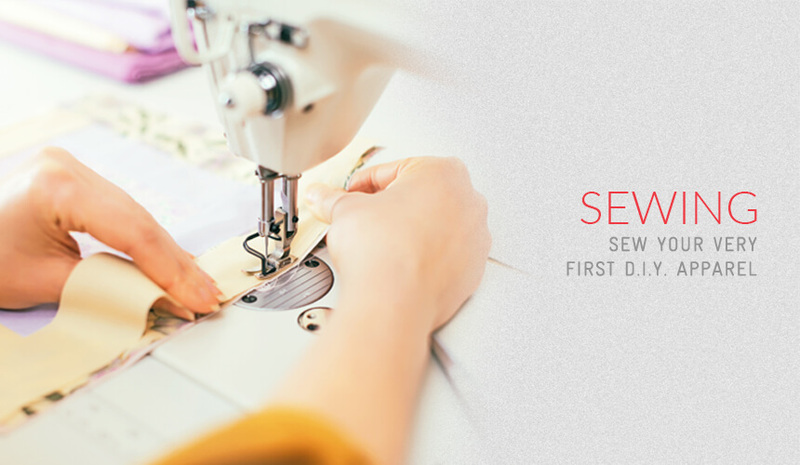 Start with basic sewing exercises and at the end you’ll be able to sew your own garment from start to finish! Join our Sewing class now. Learn all you need to know to make a pattern, such as creating a technical data bank and dart manipulation. 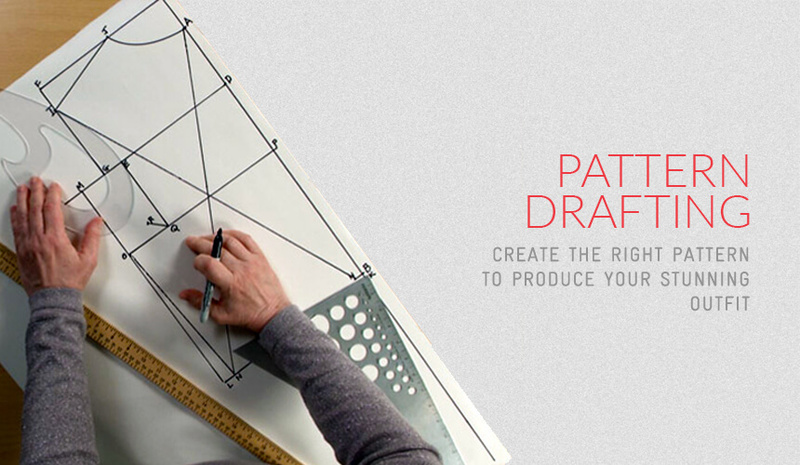 Join our Pattern Drafting class now. 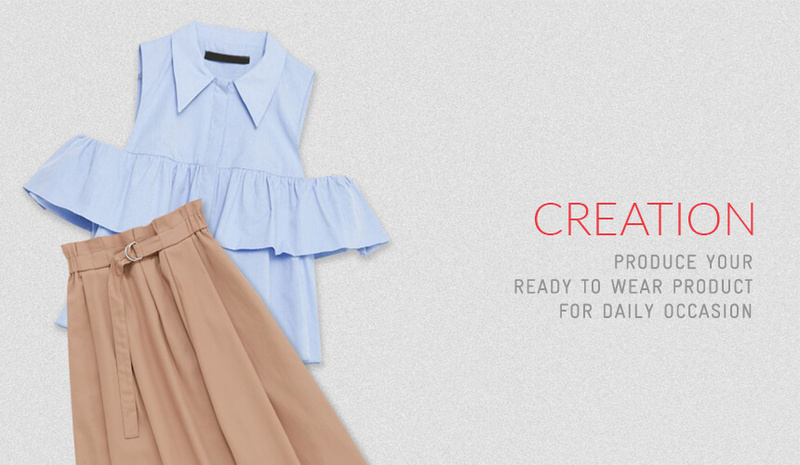 Choose between creating a skirt or shirt from start to finish with real fabric. Based on personal size. Prerequisite skill level: Sewing and Pattern. Join our Creation class now. During this course, we take on a more complex project from start to finish. By using either flat pattern or moulage techniques we create a garment with real fabric and lining. 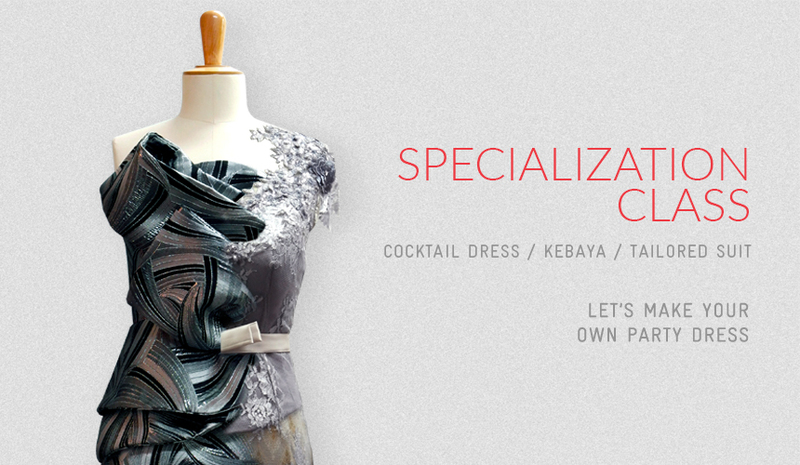 Choose between the kebaya, cocktail dress or tailored suit courses. Join our Specialization class now.